What's in a good report? We are always asked about reporting ideas and theories. Many ask us about how a report should look and what it should say to a client. A group of our client reporting ninjas meditated together and the results were some truly eye opening client reporting examples. 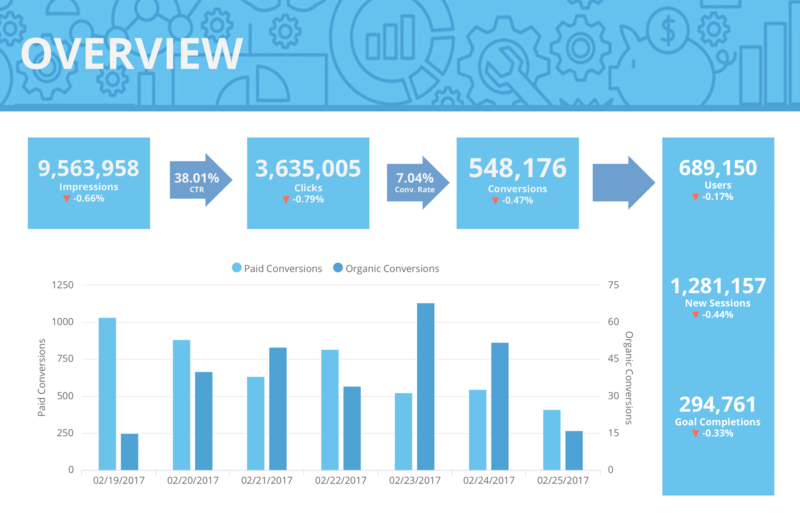 These example reports range in vertical from medical marketing, auto dealership, SEO and PPC and multi-location and they showcase and explore ROI reporting, e-commerce initiatives in Google Shopping, and KPI tracking for paid campaigns and much more. They put together seven stellar examples that show off what NinjaCat could be for your digital marketing agency. Dr. Jay says: This monthly overview is designed specifically for a car dealership. 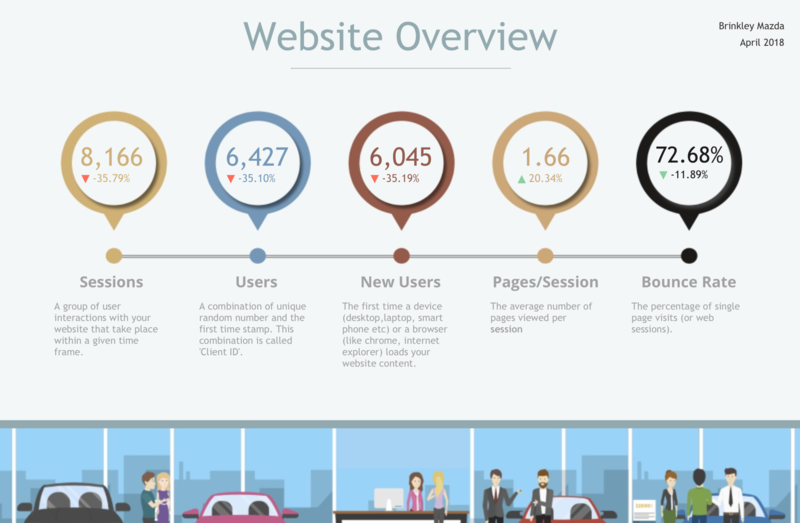 Utilizing NinjaCat's ability to bring in external custom designs, this report showcases the dealer's key performance metrics such as PPC search vs display, and SEO demographics. Dr. Jay says: Here is another prime example of NinjaCat's ability to bring in external custom design to white label your client presentations. This particular report focuses on Ecommerce initiatives in Google Shopping and ROI. 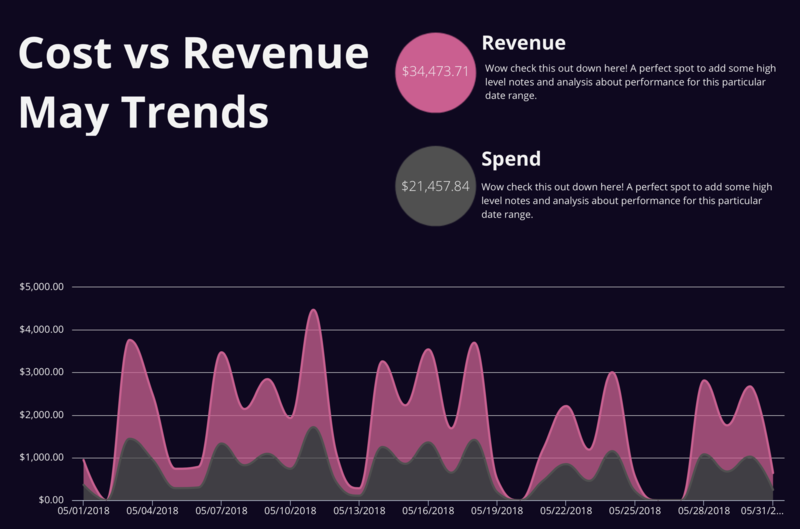 You'll find key elements in this example such as, calculation breakdowns in the ROI Performance, roll ups of product performance as well as performance by individual products and also revenue trends. 3. Many of our agencies showcase their data in powerpoint and this is a perfect layout for this format. 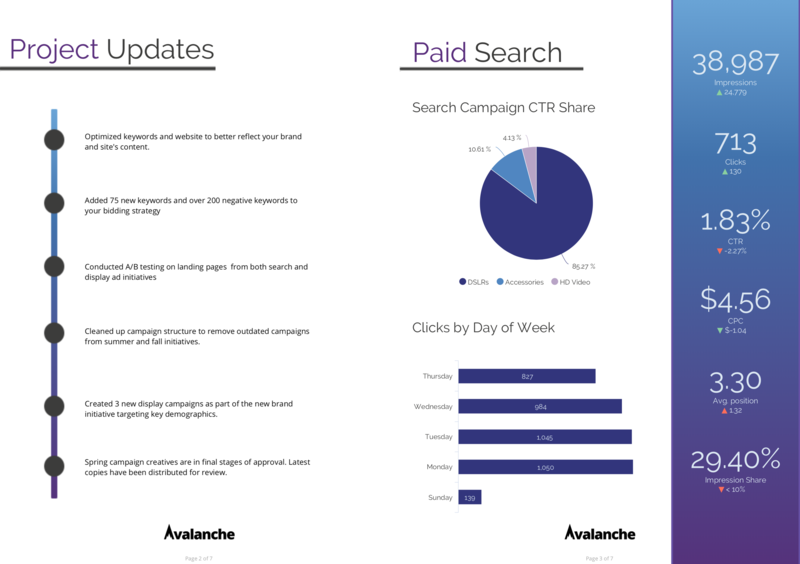 You'll find plenty of areas for custom insights and analysis within a clean layout that reviews Adwords, Bing Ads, Facebook and Analytics all in one beautiful package. Dr. Jay says: NinjaCat can easily produce reports of any size. For larger reports like this example, we suggest utilizing NinjaCat's ability to designate color to different sections. You'll notice each area of this report has its own color theme throughout the headers, graphs and tables. NinjaCat makes it simple for a reader to digest any amount of information. Dr. Jay says: A NinjaCat presentation can be laid out in either landscape or portrait mode. This example showcases our portrait layout dedicated to comparing search and display networks within AdWords as well as budget pacing with our KPI monitoring tool. Dr. Jay says: NinjaCat services several agencies in the healthcare vertical. This dentist presentation showcases NinjaCat's ability to bring images into a report for a truly polished, professional feel. In addition, you'll find custom data in this sample like "New Patient Trends". This type of custom data can be automatically brought into your report through several methods. 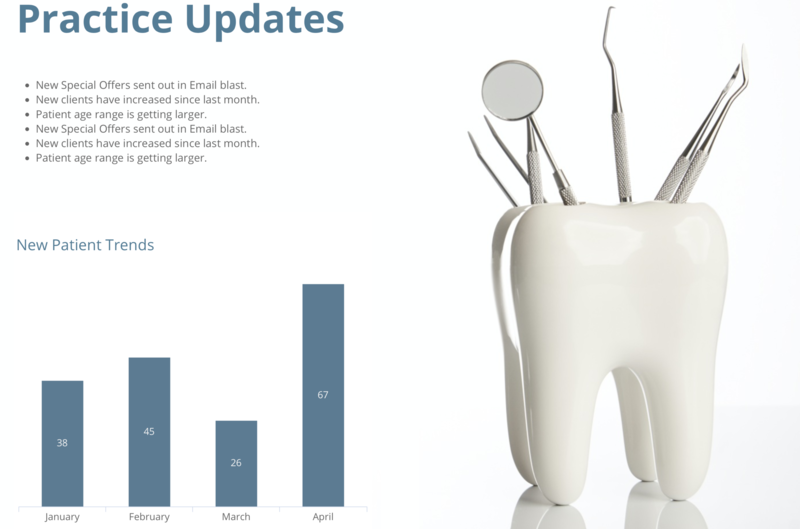 Every NinjaCat report can mix and aggregate data from several datasources and this Dandy Dental presentation is no exception. 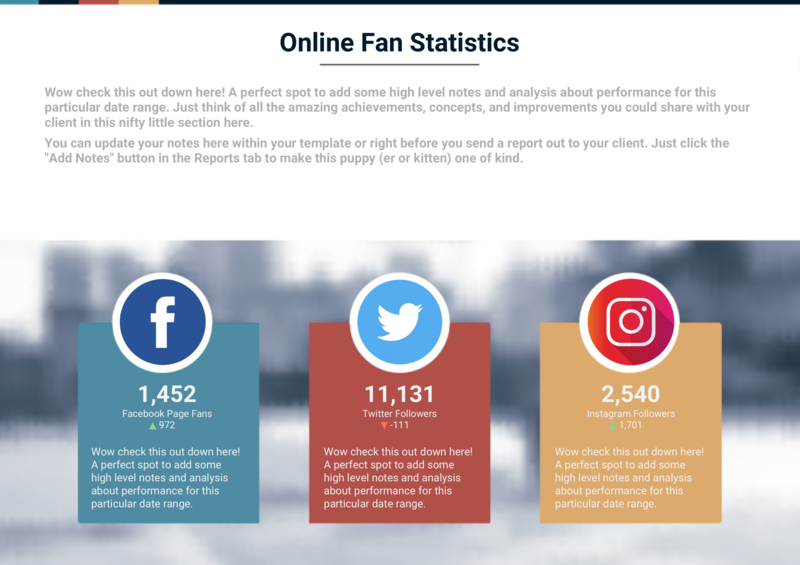 Dr. Jay says: This is an example of a social media report for a medical client. 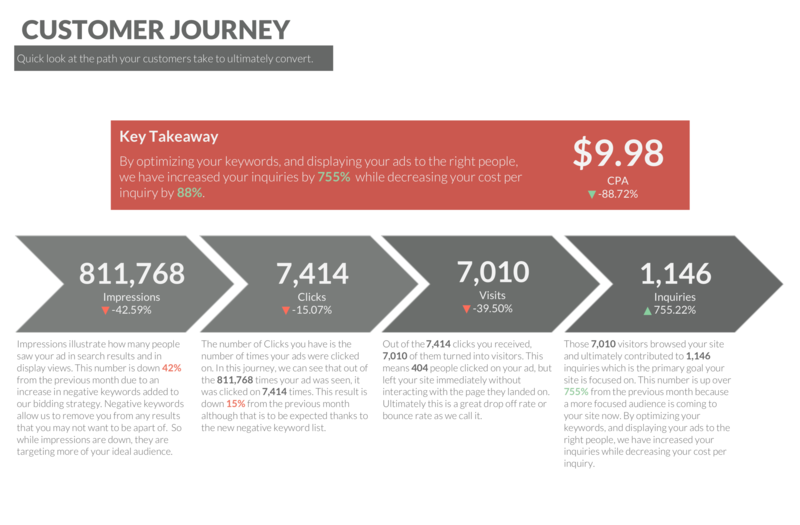 Using Facebook twitter it showcases the customer journey through the funnel as well as fan growth and trends. This report helps communicate the value client reporting has for your agency. If your clients are struggling to see the opportunities or can't comprehend confusing data, this style report will win big with them. 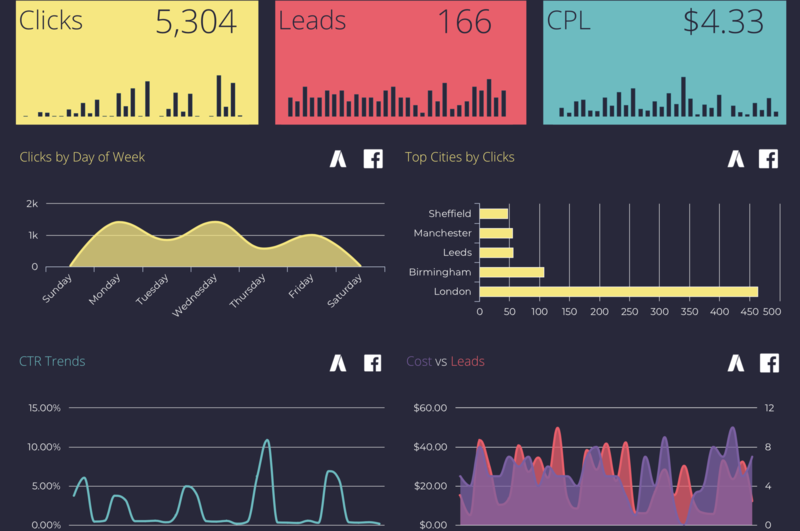 Are you ready to see what your client reports would look like? Let's Schedule a Discovery Call together and show you the power of NinjaCat.